Flip 2 coins. 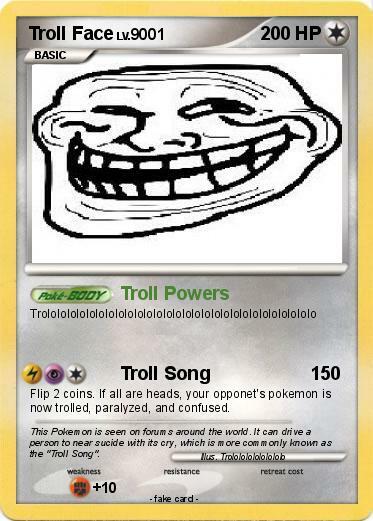 If all are heads, your opponet's pokemon is now trolled, paralyzed, and confused. Comments : This Pokemon is seen on forums around the world. It can drive a person to near sucide with its cry, which is more commonly known as the "Troll Song".